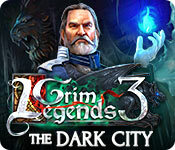 Grim Legends 3: The Dark City is rated 4.1 out of 5 by 13. Rated 5 out of 5 by afarrell from one of the best HO games What a great game. I must give credit where credit is due. From the beginning to the end the story line and the graphics was outstanding, and to top it off it was not a short game. 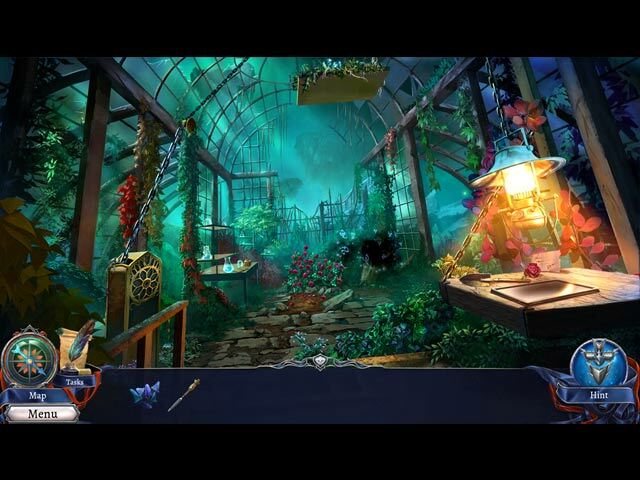 Unfortunately I am not a great hidden object player, I found this a very hard game from beginning to end with all the mini games. So if you are a novice player beware! I will definitely purchase another game by this game maker. Rated 5 out of 5 by bessiegirl from Enjoyable I really enjoy this series. Thought provoking play, no hand holding here. I did chose the Custom option for play so the hint and skip refresh quickly. HOS could be a challenge at times and I skipped almost all the mini games/puzzles....don't really have the patience for those. Voice overs, animations and graphics were very good. I always turn off the music so no comment on that. Very smooth game play. I suggest you listen to all the cut-scenes and dialog which adds to and clarifies the game and the story. The only issue I have with the game is the ending does leave you "up in the air" a bit. Don't know if it is setting up for another chapter or if (and I hope this isn't true), the continuation is in the Collectors version because I never buy those and I really dislike games that do that. Transporter map works well. Rated 5 out of 5 by denniann2 from trying to regain my memories you wake up with no memories except being a part of the order and solomon as a mentor. you have no past memories. gabriel says he is your brother and that he can tell you about your past but first you two have to work with solomon to defeat the evil spirit. the spirit takes over the body of it's enemies and then they do whatever it says. sequel? i feel sure since this is number 3. Rated 5 out of 5 by magic2 from Awesome game Oh my goodness, I just loved this game. I felt like I was watching a movie with puzzles and H/O's as a plus. The story was great, a girl with a lost memory, finds out the history of what happened to her. Top it off with a lot of action and bingo a great game. The details were wonderful and clear and I did not miss having the CE., the map worked wonders, only had to use the hint button a few times. I cannot wait for another one to come out, which I hope happens soon. Rated 5 out of 5 by SparkleGlow100 from Fun fantasy game from start to finish, for all ages! (2016 game) Played this on an HD computer, with a wider screen than I'm normally used to! I really enjoyed this game! The characters, the story, the settings all good! You are a member of some special order that protects against any natural and supernatural occurrences that cause disturbances. I felt a bit like a Jedi for some reason in this. I think it's because I have a mentor, who is so much older and wiser than me. An old city is deserted for some reason, and you need to track down and eliminate an evil that that has surfaced. This is a game for all ages, because it doesn't get dark or disturbing; skeletons is as far as it goes. GRAPHICS: The graphics have an HD option! Loved it. The graphics are not realistic, but they're bright and well constructed. Widescreen or Fullscreen. SOUND: 3 options with Music being completely separate :). The music was very effective and I more or less had it on the whole time on a low setting. HOPS: Maybe 8-10- Mix, some wordlists, some FROGS. I especially enjoyed about 3 of them that were nice to look at. PUZZLES: An ongoing game of a fight with symbols. Some of find and replace misplaced picture pieces in a story. Not really for the puzzles fan. All are skippable. HINT: Will lead and Guide. Very short recharge time if you customize your difficulty. DIFFICULTIES: 4 choices MAP:TRAVEL, with useful indicators. JOURNAL: NONE CHARACTERS: Intermittent interaction. Good voice-overs. Rated 5 out of 5 by pennmom36 from Could A Rogue Agent Be The Missing Link To Your Forgotten Past? The Order and hunting monsters is the only lifestyle Sylvia remembers after her accident last year. Members of the Order dedicate their lives to fight creatures from beyond our world. They are humanity's only defenders against the darkness, acolyte's that rely on wisdom and cunning over strength. Sylvia is one of the Order's newest proteges working as an apprentice under the wings of Simon, the organization's senior agent. Sylvia's latest assignment is to stop Gabriel, a rogue agent who has stolen a powerful artifact from the Order's archives. This artifact, called the Incarceri Stone, is capable of breathing life into death, but Gabriel was unaware that the Stone created a riff which unleashed a very powerful monster known as the Koshmaar. The Koshmaar possesses humans and turns them into evil minions. Capturing Gabriel and the Stone may prove to be an invaluable piece of Sylvia's lost memory that she may not be prepared to deal with! This is by far the best Grim Legends yet. I played the Beta version several months ago and was sent an updated version just a few weeks ago. My comments for the game included the fact that this game would be an instant purchase for me, and I can't wait to get back to the game to finish this awesome story and discover who Sylvia was, before the accident. The graphics are incredible and the storyline gets better with each new chapter, it does a fantastic job of holding your attention and keeps you on the edge of your seat. Many of the zoom zones offer a very interactive feature where you can fiddle with objects using a rotation button to flip the object as you push buttons, slide gears and find and install missing components. The Collector's Edition version offers 28 Achievements to earn and 30 Hidden Skull Imps to find as well as the usual CE bling of Wallpapers, Concept Art etc. The Hidden Object Scenes aren't spectacular, but there's only so much you can do with HOP's. There are Interactive List finds, Multiples of a single item finds, Finding Symbols in groups of two and some smaller Zoom Zone puzzles where you are tasked with finding just a handful of items. The Mini Games are fairly decent and I didn't find any of them so far to be too frustrating or so boring I skipped it. The following are brief descriptions of some of the games you'll encounter during the demo: 1) Use lockpicks to open a lock. 2) Click on four Masks until the correct color sequence matches the clue shown. 3) Find hidden runes in a picture that match the symbol inside the crystal ball. 4) Shoot a pistol when the target is green. 5) Click on balls to darken the correct pattern as shown in a negative photo. (keep in mind how a negative works) 6) Drag stained glass pieces to the correct places on the pane. 7) Follow the picture directions of a recipe. 8) Place elements hidden in the pictures in their proper slots. 9) Each time Sylvia uses her "powers" to fight the enemy you must click on the token that doesn't have any of the symbols inside the enemies tokens. The Collector's Edition has 12 replayable Hidden Object Scenes, 18 replayable Mini Games, 6 Wallpapers, 12 Concept Art pictures, 28 Achievements to earn, 5 Music Soundtracks, 6 replayable Cutscenes, a built in Strategy Guide, and a Bonus Chapter, (The Ancient Stone) enjoy! 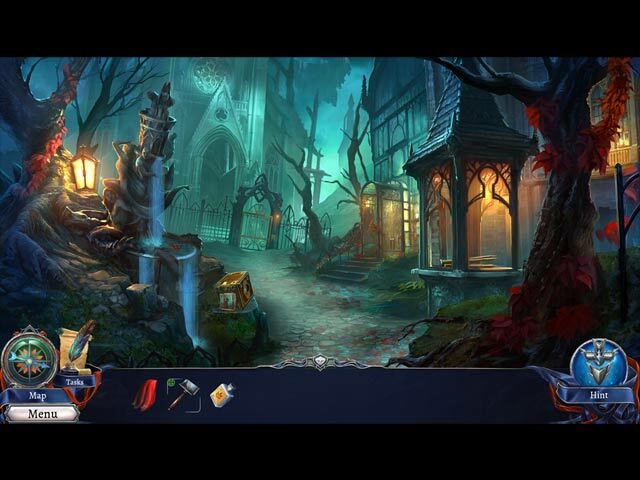 Rated 5 out of 5 by biscuitsmama from AN EXCELLENT GAME WITH A WELL-TOLD STORYLINE In this latest offering in the Grim Legends series, “The Dark City”, you play the game as Silvia, a member of the Order who lost her memory in an accident a year ago. As an apprentice to Master Solomon you hunt monsters that don’t belong in this world. W when the game begins you are off to meet with him at an abandoned theater where a monster, most likely a Maskwraith, has recently been seen. You soon learn that the sighting is a trick to draw Master Solomon away from headquarters where the Incarceri stones that imprison the dreaded Koshmaars (monsters who feed off the negative emotions of people who then are turned into their servants) are locked away in its vaults. With the Incarceri stones missing you and Master Solomon begin an adventure to return the stones and the Koshmaars to its vaults before disaster is unleashed upon the world. The graphics are excellent as is the sound package including the voiceovers that are some of the best I have heard in recent games. Although there is a custom mode, unfortunately it does not allow you to turn of the dreaded misclick penalty in the HOPS. Really? I, as others, hate that penalty and one would think that would be obvious to the developer. Your tools include an interactive transporter type map that is present at the beginning of the game. The Dark City has more mini-games than HOPS so those of you who love puzzles will be very happy. As is typical there are varying levels of challenge in the puzzles with some being very easy while others are quite challenging. Even though there are more mini-games than HOPS, the HOPS that I found seemed to include some variety. There were a couple of the storybook HOPS as well as the traditional list type scenes that were included in the demo but hopefully there will be some other types as I continue with the full game. Although there was nothing really new or different in either the HOPS or the mini-games those that are included in the demo are still entertaining. 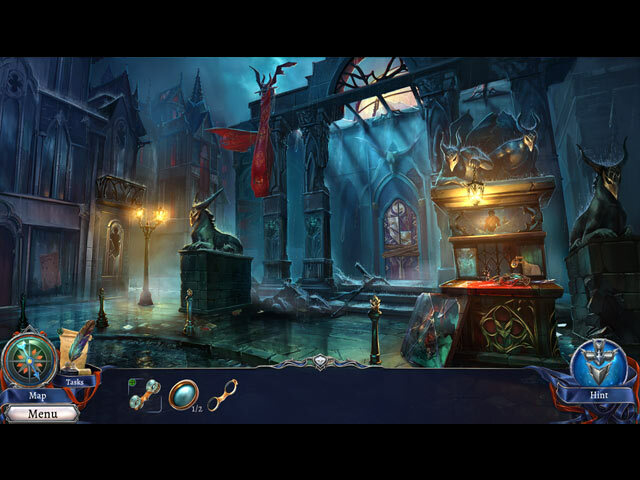 Grim Legends the Dark City is an excellent game with an exciting storyline and wonderful characters. I have been eagerly awaiting the games release since playing the beta many months ago. The full game did not disappoint and it was much better than I even suspected. The story is well-told and it holds together throughout the game. I don’t want to say too much and give them away but there are a few surprises in store as you play through the game. The developer has done an excellent job with bringing some fresh ideas that make The Dark City is probably one of the best games I have played this year. Even though I love this game, please try the demo to see if it is a game you will enjoy. Rated 4 out of 5 by ninja226 from Really good game I loved this game in the 1st half--the artwork is crystal clear, beautiful and high def, British voiceovers, and good game flow. Kind of lost my interest towards the end as the actions to progress weren't very obvious, and the ending is a bit abrupt. Overall, a really good game, and I enjoyed being a Knight of the "Order". Rated 4 out of 5 by RoyBoy1473 from Scariest monster ever! In one chapter there is a really scary looking insect monster. They should have made it more interactive though. I found it weirded me out! Not a bad storyline. Hidden objects pretty good. Rated 3 out of 5 by frequentfrog from Perhaps the weakest of the series I enjoyed previous games in the Grim Legends series but storywise I think the latest game is definitely the weakest. I managed to guess several 'relevations' well ahead of the game, which takes away some of the enjoyment. I like a game that puts me on the wrong foot. This game only managed to trick me once. So perhaps the storyline was a little more generic and predictable than its predecessors. The antagonist is called a Koshmaar. It had me in giggles each time it's mentioned. Others who know French may find it similarly amusing. Game is a decent lenght, I played two to three hours. Puzzles are perhaps a little on the easy side in casual mode. I only had to use the hint-button twice in the game. Not a bad game, but considering the fun I had with Grim Legends 1 and 2, I don't see myself replaying this game as quickly.